The pointing of the bricks is the external facing mortar, and, as time goes by, the elements will take their toll on the pointing of the bricks of your home. Time, weathering, and decay will create voids in the pointing. If it is not repaired, water can enter the voids and cause major damage to the bricks and other parts of your home. For example, if there is a frost, it can cause expansion and contraction which can cause additional problems later. 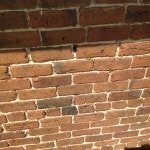 Brick repointing can help with this situation. 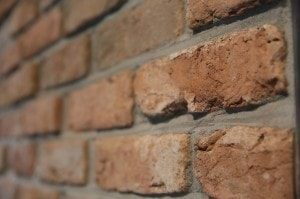 Brick repointing may seem like a simple job, but it needs to be done with care and by experts. The right tools and materials must be used to ensure the existing bricks aren’t damaged. Importantly, if you have a historic home, extra precautions must be taken to assure that your home does not sustain even more damage. For all your re-pointing repairs you can count on Reliable Waterproofing & Masonry. When water gets into your home, especially in your basement, it can cause trouble. It can cause cracks and mold and mildew. Fifty percent of the air you breathe in your home comes from the basement, so mold and mildew are things you want to avoid. There are many health problems related to mold spores, ranging from watery eyes to cancer. Save money, time, energy, and worry by having your bricks repointed. The first part of the repointing process is to remove any old pointing to a depth of equal to or slightly more than the width of the joint. Depending on the depth of the joint, one or more passes will be made with the mortar (which can be made to match the current color of your mortar). The mortar will then take about a day to set up and cure. It is very important to make sure that the joint profile is rectangular as the new mortar used needs ample chance to bond with the existing masonry in your Virginia home. We make sure that the new mortar used matches the original mortar as closely as possible. This is important to make sure that they have similar characteristics such as permeability or strength. Historic homes especially need this extra care and attention to detail to remove the possibility of further damage from repair. 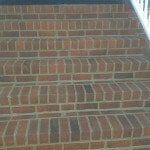 These are details you can count on from the team at Reliable Waterproofing & Masonry. We also offer foundation repair and concrete restoration. Contact us today for an appointment for your brick repointing needs. Your home is important to you, and that’s why it’s important to us. We’re dedicated to giving you a quality, professional job that will leave a smile on your face. Don’t hesitate! Call Reliable Waterproofing & Masonry today!